Who’d have thought that thirty years down the line, The Legend of Zelda series and its man-in-tights hero would still be going strong? 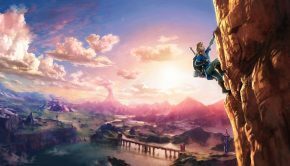 Breath of the Wild has been getting rave reviews all around, being praised for taking the series in new directions without losing sight of what’s made it great in the first place. Of course, this being a Zelda game, there’s lots of expectations on the musical front. 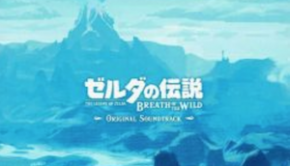 Most of Breath of the Wild’s score was handled by relative newcomers Manaka Kataoka and Yasuaki Iwata, with veteran sound director Hajime Wakai contributing to a smaller extent. 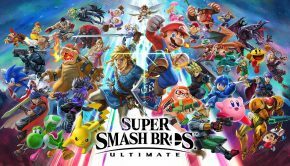 While Iwata worked on titles like Mario Kart 8, Kataoka might be a more familiar name, having cut her chops on the Animal Crossing series and The Legend of Zelda: Spirit Tracks. Did these fresh faces provide Breath of the Wild with a musical breath of fresh air? This sound selection, available with the Special Edition and Master Edition of the game worldwide, gives a chance to find out. 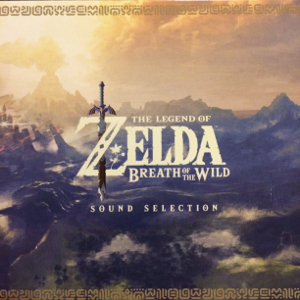 What better way to start off a new Zelda score than with an appropriately titled “Main Theme”? The very first thing you hear is a piano which is surprising, because the series isn’t exactly known for its piano-centered compositions. After some preparatory passages from the piano, winds, strings and brass, we’re treated to the nobly heroic theme itself, with Kataoka effortlessly blending Western orchestration with Eastern stylings. A shame that the transition in the middle is so poorly executed, because it really detracts from the buildup. Next up is “Field (Day)”. Now, those of you expecting a magnificent orchestral rendering of the main theme will undoubtedly come out disappointed, as this track mostly consists of meandering piano passages and minimalistic sound effects. It doesn’t sound like much, but bits and pieces of the track highlight your wanderings through Hyrule Field. So it serves a purpose in-game, but the effect is kind of lost on CD. “Shrine” is the first of Iwata’s compositions and it highlights the score’s emphasis on ambience. There’s not a lot of melody to speak of, the track only really consisting of repeating passages for strings and all manner of synths, evoking an ancient atmosphere. “Riding (Day)” is another track where you expect heroic orchestral scoring, but again, Kataoka defies convention by relying on quick piano playing that despite its breakneck pace has a rather tranquil effect. Also note the violin playing a slow rendition of “Zelda’s Lullaby”. “Riding (Night)” is similar to its daytime counterpart, but here the violin plays a drawn-out version of the series’ main theme. The theme easily lends itself to a sweeping orchestral rendition, but here it’s stripped of all heroics. “Battle (Field)” is battle music unlike anything in Zelda’s storied history. It’s a snappy, jazzy composition with lots of quick piano passages and rapid-fire brass and strings. Unusual, but enjoyable nevertheless. Some of the synths sound surprisingly old-fashioned. 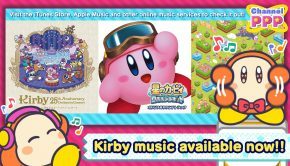 I wouldn’t be surprised if they were sampled from one of the older games in the series. “Battle (Shrine)” maintains the jazzy stylings of “Battle (Field)”, but places an appropriately bigger emphasis on strange synths. This trend of defying expectations continues with “Temple of Time”. Many will immediately start humming the famous version from Ocarina of Time, but Iwata forgoes the choral samples in favor of a slow atmospheric piano piece. Like the temple’s ruins, it doesn’t look like much, but listen closely and you’ll hear that familiar theme, like a voice from a distant past. Next up is a trio of battle themes, each one more intense than the other. Kataoka’s “Guardian Battle” features her is trademark piano and violin playing coupled with foreboding synths. It’s a tad repetitive though. “Talus Battle” has a heavier focus on brass, percussion, synths, and even some vocals. Wakai’s “Hinox Battle” takes the jazzy, orchestral, ethnic elements and mixes them all together in one boss theme. We return to the atmospherics with “Stables and it sounds as rustic as you expect it to sound, with a nice nod to “Epona’s Song” to boot. “Kass’s Theme” is definitely the odd one out on this album with its perky accordeon theme. Oh well. Vive la France! The second half of this Sound Selection features the day/night themes from various locations. Wakai’s “Kakariko Village (Day)” has ‘quaint Asian village’ written all over it and its slow ‘night’ version even more so. Iwata’s “Rito Village” themes are two of the more satisfyingly arranged themes on this CD with their soothing wind- and string-focused orchestration based on The Wind Waker. The “Goron City” themes are heavier on the percussion, with the brass even giving off a bouncy comical vibe. Iwata’s lushly arranged “Zora’s Domain” tracks will bring a smile to the faces of those with fond memories of Ocarina of Time. The album rounds out with a live version of Kataoka’s “Main Theme”, as arranged by Tomomichi Takeoka. Unique to this version is the inclusion of a mixed choir, but the real bonus is the absence of that horrid transition from the first track. Posted on April 27, 2017 by Lucas Versantvoort. Last modified on April 27, 2017.